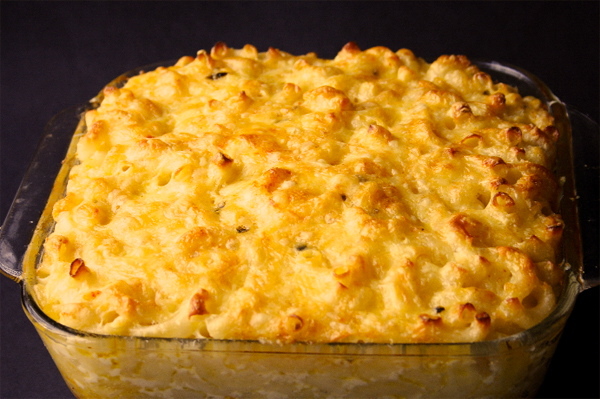 I usually eat it as a side dish, alongside my greens and meat, but I have seen many people eat an entire plate of macaroni pie as a meal. So, I guess it is really up to you! Once the noodles have boiled, pour all of the water out of the pot and return to stove on low heat. Add butter immediately and stir. Add 3/4 of the grated cheese and stir until the cheese is completely melted. Add the all purpose seasoning, salt and pepper. Place the mixture in a baking dish. Use a spoon to make the top of the pie even, and sprinkle the remaining cheese on the top. Bake for 30-40 minutes or until the top is golden brown.